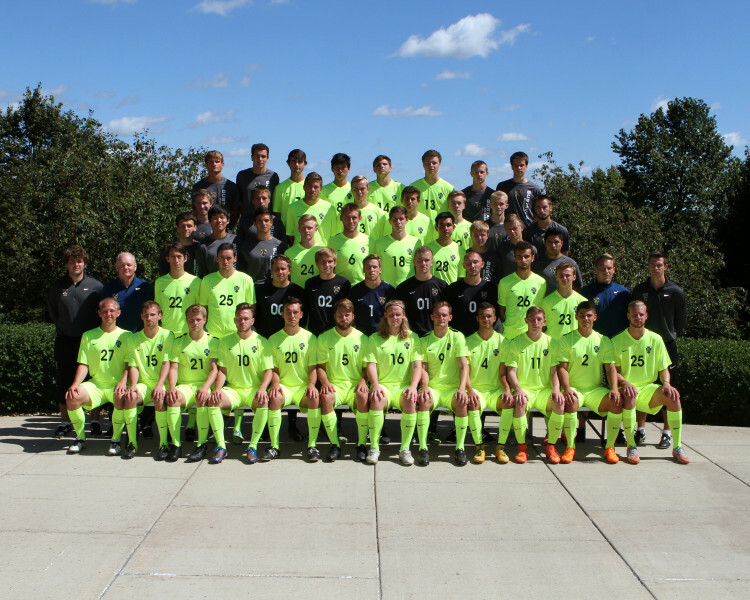 ST. PETER, Minn. – The Gustavus Adolphus men’s soccer team will kick off its 2015 season by traveling west to New Ulm, Minnesota to take on non-conference opponent Martin Luther College. The Gusties’ game with the Knights will begin at 5 p.m. at the Martin Luther Soccer Field. Gustavus will look to begin its season on a high note after a successful 2014 campaign in which it earned the MIAC Playoff Championship and advanced to the second round of the NCAA Tournament. However, gone are 2013 MIAC MVP Zach Brown, 2014 MIAC MVP David Lilly, and much of the veteran leadership that guided last season’s squad. The Gusties do return five starters from last year’s roster, including junior forward Patrick Roth (Stillwater. Minn.), senior defender Patrick Leach (Sioux Falls, S.D. ), senior forward Eli Bjerk (Stillwater, Minn.), senior midfielder Charlie Adams (Stillwater, Minn.), and senior defender Sam Leske (Hampton, Minn.). Martin Luther is looking to bounce back after posting a record of 6-11 overall last season, with one of those 11 losses being a 4-0 decision against Gustavus on September 10, 2014. The Gusties have never lost to the Knights, compiling a mark of 8-0 all-time.